The Society of Concurrent Product Development (SCPD) 17th Annual Conference will be held on June 14–15th, 2018, at the Science Museum of Minnesota in St. Paul. The SCPD Conference unites people who share a passion for innovation and the opportunity for business transformation. Our great roster of speakers share how they dream big and without limits. Join us in discussion to immerse yourself in a world of possibilities, leaving the constraints behind. SCPD is a non-profit organization dedicated to disseminating the latest knowledge related to concurrent innovation. We promote the integration of Strategy, People, Process, Tools and Technology – focusing on the customer at all times. This methodology has proven effective in organizations of all sizes, industries, services, tenure! 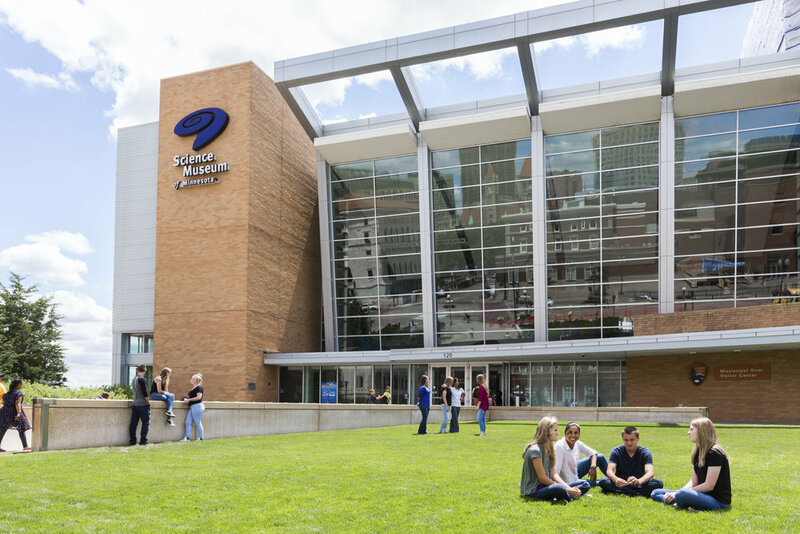 Located on Kellogg Boulevard and overlooking the Mississippi River, the Science Museum of Minnesota offers guests a unique opportunity to explore all kinds of science learning. Positioned in the heart of downtown Saint Paul, the museum attracts visitors from around the Midwest. As one of the most popular attractions at the Science Museum of Minnesota, the Omnitheater provides visitors with more than “just your average” movie experience-on a screen that is 70 feet high and 90 feet wide! Omnitheater films are often shown in conjunction with exhibits and provide an even greater science learning experience. The Science Museum is located at 120 W. Kellogg Boulevard, across from the Xcel Energy Center and RiverCentre in downtown Saint Paul, Minnesota 55102. Parking - SCPD will cover parking fees: The museum’s parking ramp is open daily from 5:30 a.m. to 11 p.m. Take a ticket when you enter the parking garage. SCPD will provide a voucher, upon registration, to cover the charges for parking when you exit the ramp.